Footpoint Podiatrists use state of the art Bodytech Technology to assess patients. There’s an old saying: “if you don’t or can’t measure it, it is difficult to improve or make change”. That’s the philosophy we subscribe to at Footpoint Podiatry. Especially when it comes to orthotics. On occasions we see patients who need additional assistance and foot support from prescription (custom) foot insoles or foot orthotics. Our custom-made devices are precision-manufactured to correct your foot posture and improve weight distribution and balance. This can successfully alleviate pain in your feet, knees and hips, improving acute and chronic injuries. If we find your legs are slightly different lengths prescription orthotics can even improve lower back pain. Footpoint Podiatrists use state-of-the-art Bodytech Technology to assess patients. During the biomechanical evaluation, information is collected about the patient’s medical history and physiology. This includes foot pressure, video gait assessment, posture assessment, 3D scanning of the feet and may also include balance testing. The technology collates and records many facets of an examination, giving us precise measurements to work from. 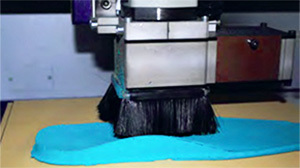 This information is then overlaid with the latest orthotic CAD/CAM manufacturing process. 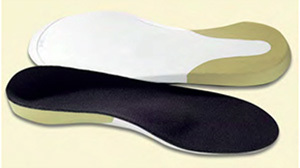 Our Footpoint Orthotics come in many shapes, sizes and materials. All are custom selected and made to suit the condition being treated, your activities or sports, your footwear and your lifestyle. Let our experienced team expertly guide you through this process with our advanced assessments, leading orthotic design and manufacturing technology.